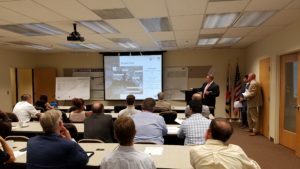 WDCSITE held a well-attended technical meeting at MDTA’s office in White Marsh, MD, where we were addressed by knowledgeable speakers regarding their respective work. The event also provided a great opportunity to catch up with fellow colleagues during lunch from the local Italian deli, Pastore’s. The meeting on August 24th was kicked off by the ITE Membership video, which can be viewed on YouTube HERE. 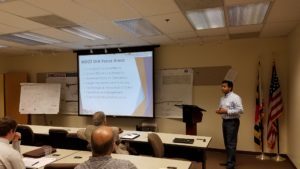 Then, Will Pines, representing MDTA, and Neil Leary and Jeff Cheng, representing Whitman, Requardt & Associates, presented, followed by Subrat Mahapatra from SHA’s Office of Planning and Preliminary Engineering. 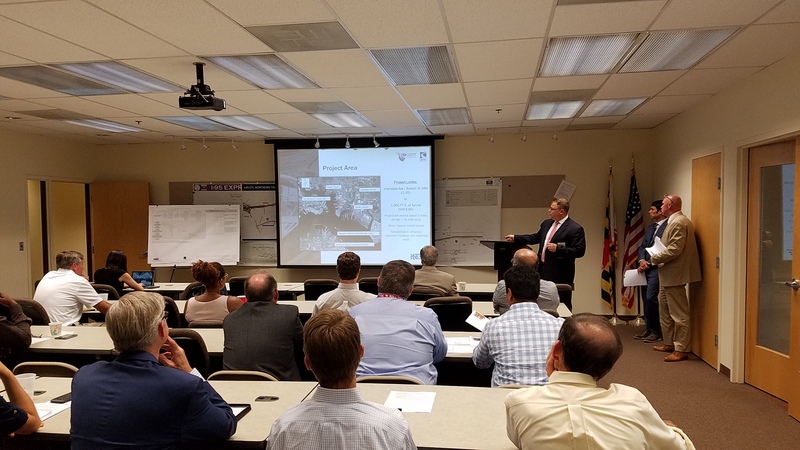 The former presentation detailed the Canton Viaduct Bridge Replacement project, which, due to its unique limitations, is an extensive traffic engineering “mega project”. The latter, presented by Subrat, provided insight on the ongoing efforts in Maryland to leverage technology and existing resources to provide innovative solutions in Transportation Systems Management and Operations (TSM&O). We have shared their presentations via email with all those who attended. We thank our speaker guests and our hosts at MDTA and we look forward to future events at this venue!